← It’s Tuesday?! – Time for a RAK. This past week, some cool news has come my way. Crop for the Cure contacted me about becoming a sponsor for their event, and I totally agreed. I was totally humbled that they loved my items in the ROL Shop. Moreover, I am going to be published again! This time Ready, Set, Create contacted me and loved one of my recent projects. I am totally thrilled about this! I feel so accomplished; I’ve also finished a handful of layouts this week. I plan on scrapping more the rest of this week. The current challenge at The Story Matters caught my eye. It’s about scrapping a struggle you may have; I scrapped about my struggles with GAD. Check back tomorrow for possibly another Valentine’s Day RAK. fabulous! 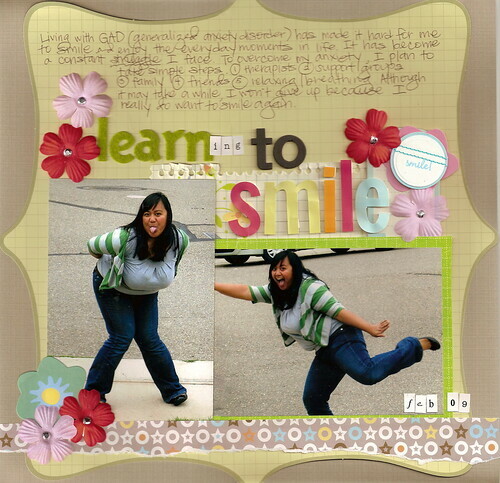 Love your “learn to smile” layout. Keep up the good work. you should do a challenge if there is one out there on food. oh Sarah those are such beautiful layouts! i love them…thanks for playing along this week!! You are one talented scrapper. All three of them look stunning. Can’t wait to see your next creations. Love the honestly in your GAD layout. I have it too, so I completely understand how hard it is to cope with. Love these pages here. Thanks so very much for playing alongwith us at STM. i always love to see how you do your titles in your layouts. always so unique and bright. LOVE THIS! Thanks for joining us! Sarah, your layouts are fabulous! Love everyone of them. Hope you have a great weekend coming! What’s with all the K-Mae layouts? I swear, next time I visit or you visit, I’m going to jump into every picture so you’ll be FORCED to scrap about me. Hey Sarah! Could I get your permission to link up your blog in mine? 1) COngrats on all the good news! Wow! Getting published is sure exciting news!! 2) Thanks for sharing your struggle with us over at The Story Matters, thanks for being so real and your honesty on GAD. I’m sure it’ll just get better and go away by God’s Grace and love for you! and happy hearts’ day to yah! Looks like a productive week! Love all the layouts, the colors are so bright and cheery!!! Thanks for playing along with us! Great layouts, Sarah. I really enjoy your blog. 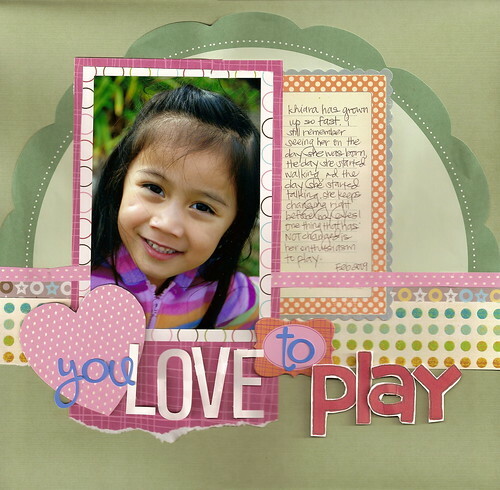 Love your layouts! Thanks for playing along with us at STM! Love your Scrapping the Music LO!! Its bright and fresh! Gorgeous! Thanks for playing along with us! WOW!!! Love all your work! Thanks for playing along with us this week at Scrapping the Music! It looks like you are one busy scrapping gal! Your work is totally amazing!! Thanks for joining in the fun at STM!! These are great pages – wonderful colours, a really happy vibe! Thanks for playing along this week! 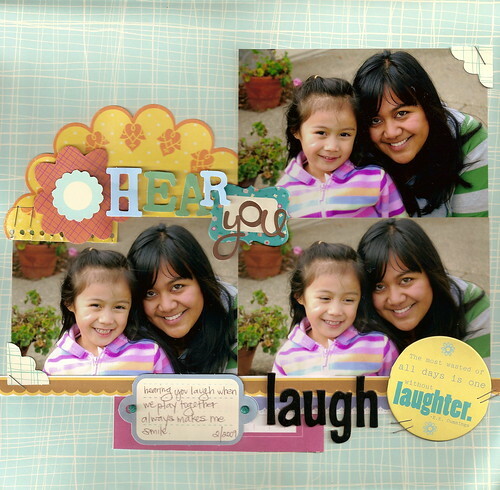 All your layouts are beautiful and inspiring! Thanks for the inspiration and sharing! !